and increasingly popular facial waxing. • Nasal and ear waxing using hot wax. 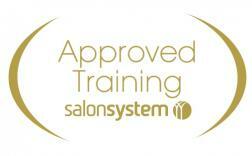 • Salon hygiene, sanitation, health & safety. • Just Wax Expert product knowledge. PLEASE NOTE: you will be required to provide a male model from approx 12.30pm until 4pm. All students will receive a e workbook to reinforce learning, along with products to use for the duration of the course.